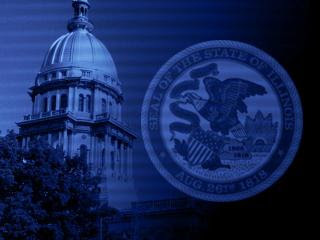 State Senators in Springfield are focusing on the realities of running a government who's top official has been arrested and remains in office. This is day three of the impeach trial of Governor Rod Blagojevich. Senators are submitting questions to the Chief Judge who is them reading them out loud for witnesses to answer. Wednesday morning, Representative Chapin Rose was answering questions about the state's poor financial condition. Illinois' credit rating was lowered after the Governor's arrest, which means higher interest rates on loans the state is paying back. It was also revealed, no one is sure who would help the state work through a natural disaster because Blagojevich has had his security clearance revoked by the Department of Homeland Security. "If a natural or man–made disaster were to occur while Gov. Blagojevich's security clearances were revoked, who would acgt as a liaison to the federal government? Is this individual duly elected by the people of Illinois? I simply don't know the answer to that question." The president of the Illinois Senate is challenging Blagojevich to show up for his impeachment trial instead of spending his time on national news shows.